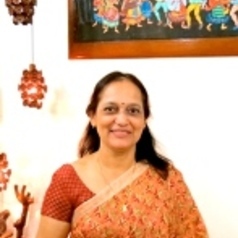 Jeemol Unni is Professor of Economics at Institute of Rural Management, Anand (IRMA). Earlier, she was Director and Reserve Bank of India Chair Professor in Rural Economics at IRMA. She holds a Ph.D. and M.Phil. in Economics and held Visiting Fellow positions at the Economic Growth Center, Yale University, Institute of Social Studies, The Hague and International Center for Research on Women, Washington DC. Her research and teaching focus on economic and social policy, issues of informalisation of labour and production systems and the gender implications of this process. Her recent research is on the linkages between growth of higher education and the changing profile of jobs due to technology. In addition, her research addresses issues of social protection. She was a special invitee and International Labour Organisation (ILO) Consultant with the National Commission for Enterprises in the Unorganised Sector, New Delhi. She is a Director (Member of the Governing Board) of Women in Informal Employment, Globalizing and Organising (WIEGO), a Company with Charity Status, registered in the UK. She has been a member of various national and international advisory bodies. She is on the Editorial Board of The Indian Journal of Labour Economics, New Delhi. She has written several books and published articles in national and international journals. Sardar Patel Institute of Economic and Social Research, Gujarat University, Ph.D.